London, November 8, 2018 (AltAfrica)-26-year-old Hauwa Ojeifo is a young Nigerian woman who is not letting age and past struggles come in her way. If anything, she is using them both as a catalyst for change in the space she finds herself. Even the Queen of England, Her Majesty Queen Elizabeth II has had to acknowledge her impact and hard work at such a young age. At the just ended MTV Europe Music Awards in Spain, Hauwa Ojeifo picked up the prestigious first-ever MTV Europe Music Generation Change Award. The award is the first of its kind to honour, elevate and empower original young people who are changing the world. Hauwa took the award for the night beating other equally empowered youth around the world from Lebanon, Afghanistan, Britain and the USA. 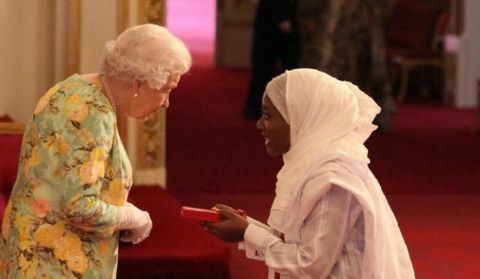 The award has quickly elevated Hauwa Ojeifo into more popularity despite being the only female to receive the 2018 Queens Young Leaders Award earlier this year among other awards. Hauwa Ojeifo is a Fashion Designer, Financial Analyst, Life Coach, women empowerment activist and mental health activist who manages to make time and achieve great progress in everything that she sets out to do. But her work in mental health stands out as a passion and a very important activity in her life. In 2015, Hauwa was diagnosed with bipolar and post-traumatic stress disorder coupled with psychosis and suicidal idealisations; a diagnosis that changed her life forever and brought her to the realisation of how Nigeria and Africa greatly neglect mental health issues. 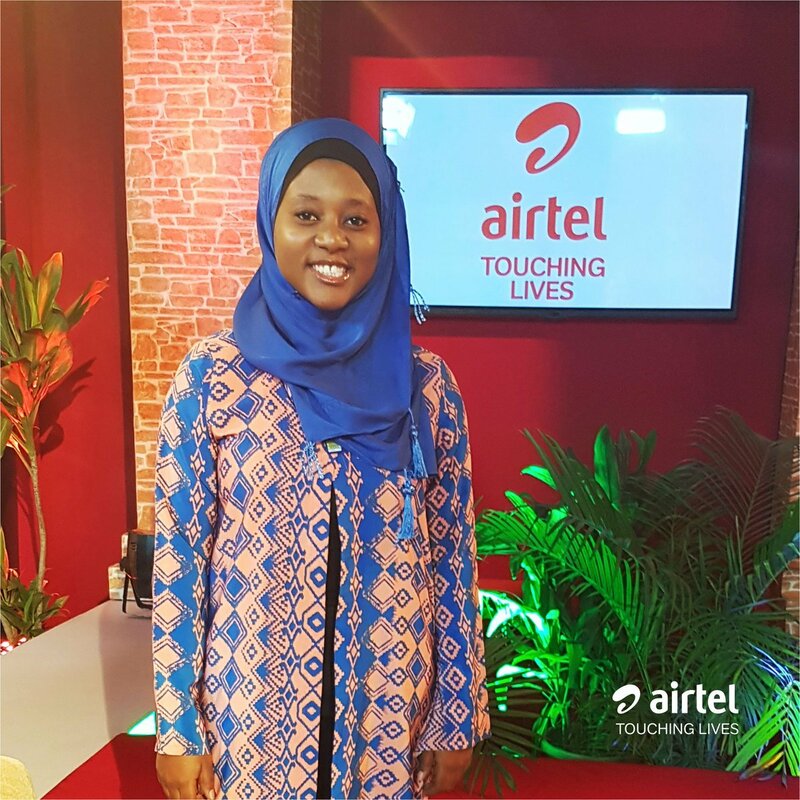 Up until being diagnosed, Hauwa had lived a very comfortable life getting the best of everything including quality education in any field of her choice. She attended Bells University, Ota in Ogun State where she studied Business Administration with a focus in International Businesses. Right after obtaining her degree, she went on to do her master’s degree at Henly Business School, ICMA Centre, University of Reading in the UK. After her master’s degree, Hauwa went off to Malaysia to pursue her fashion dreams and obtained a professional certificate in fashion. After being diagnosed with bipolar and post-traumatic stress disorder, Hauwa suddenly felt neglected and uncared for and had to go through everything on her own. 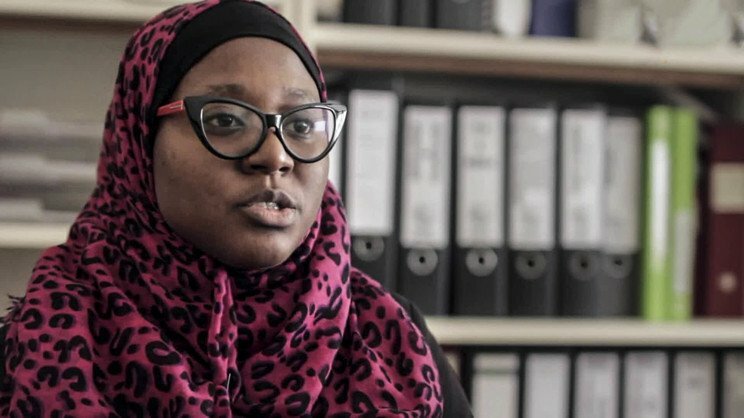 Hauwa turned the negative energy she was receiving from people who she thought she could rely on for support into a fight to get out of her battle with mental health and help women and people in Nigeria find a safe space to deal with their mental health issues. “In our first six to nine months, people send DMs or emails appreciating our good work and sharing how we’ve helped them or loved ones. They’ll go on to confess that they don’t [like] our Instagram posts or leave comments because they don’t want anyone knowing that they follow us, so as not pass the ‘wrong message’. She went on to give a reason saying that ‘people have been told that mental illness is some form of demonic possession. So, instead of seeking help early enough, they take measures that aggravate and lengthen their pathway to mental wellness. There’s also a ‘religion’ problem in Nigeria where people have been told that mental illness is some form of demonic possession”. With the creation of She Writes Women, the conditions addressing mental health issues in Nigeria have greatly increased and with its success, Hauwa went on to establish Safe Place, Nigeria’s first anonymous and 24/7 mental health helpline which receives several calls every day. Hauwa’s passion to create a change in mentality on mental health in Nigeria stems from her Muslim upbringing which promotes kindness and support to one’s community. She Writes Women currently has over 11 thousand followers on Instagram and its reach led to the creation of Talk Black Thursday, a live stream on social media that addresses the issue of mental health. With the aim of ending the stigma attached to mental health as well as the total neglect of people with mental health conditions, Hauwa has worked with and partnered with several organisations such as the Wiki Loves Women organisation, Airtel, a few health centres and other women empowerment bodies to provide subsidised mental health care to close to 500 women who have registered for the Safe Space. 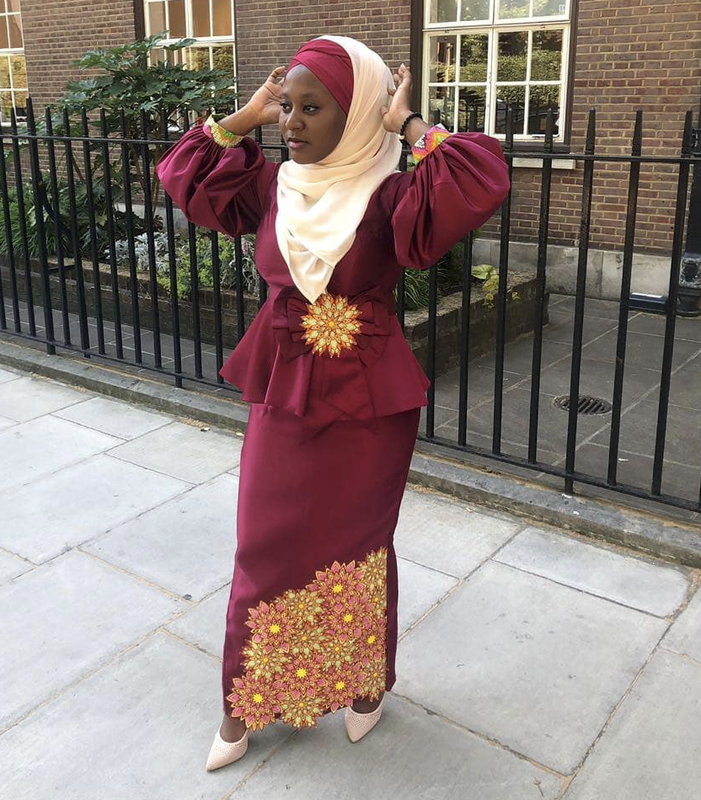 Despite giving much attention to her mental health care initiatives, she still makes time to practise her financial profession and has also ventured into the digital marketing field while making fashionable clothing upon request. In her free time, she gives talks to young women encouraging them to chase their dreams, be true to their feminity and always be themselves. 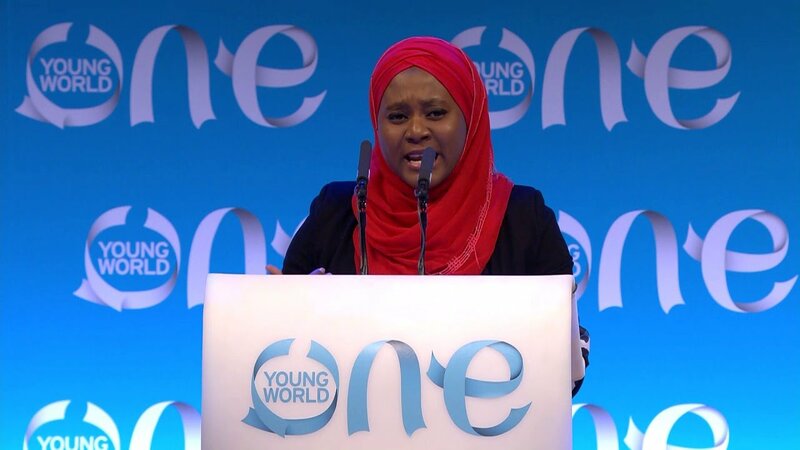 If there is any proof that the new generation from Africa is ready to make a significant change on the continent and grab the attention of the world, Hauwa Ojeifo is the epitome of it all.